A low vision evaluation is quite different from a typical eye examination. 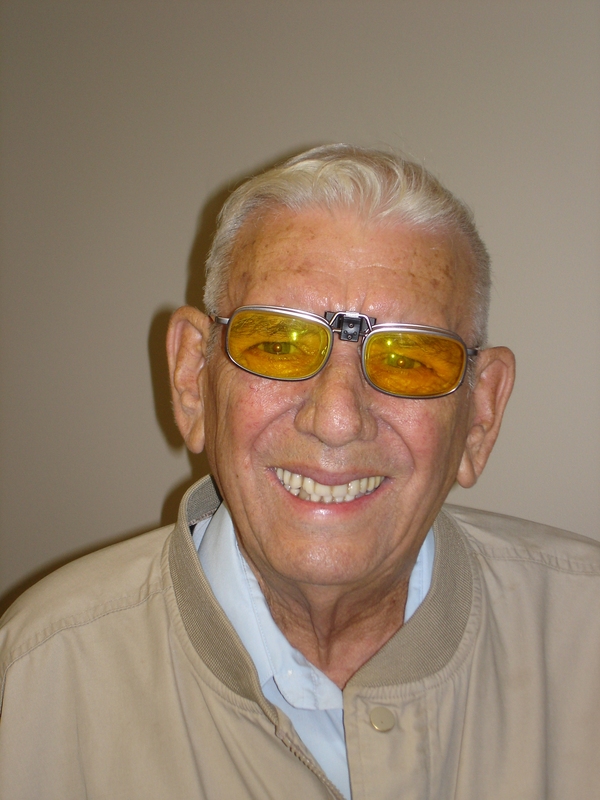 The purpose of a low vision evaluation is to help maximize the person’s remaining vision and allow them to return to activities that have been difficult or impossible because of their vision loss. First, a list of the patient’s goals is made. They are asked what activities are most important to them that they’d like help with. Next, the level of remaining vision is determined while using their present glasses or magnifiers. Once this information has been obtained a careful evaluation of their vision is performed using various low vision glasses and other devices. Consideration is given to lighting and the distance from the patient to the objects that they’d like to see better. It is helpful for the patient to bring the books, newspapers, pictures and other things that they would like help seeing. 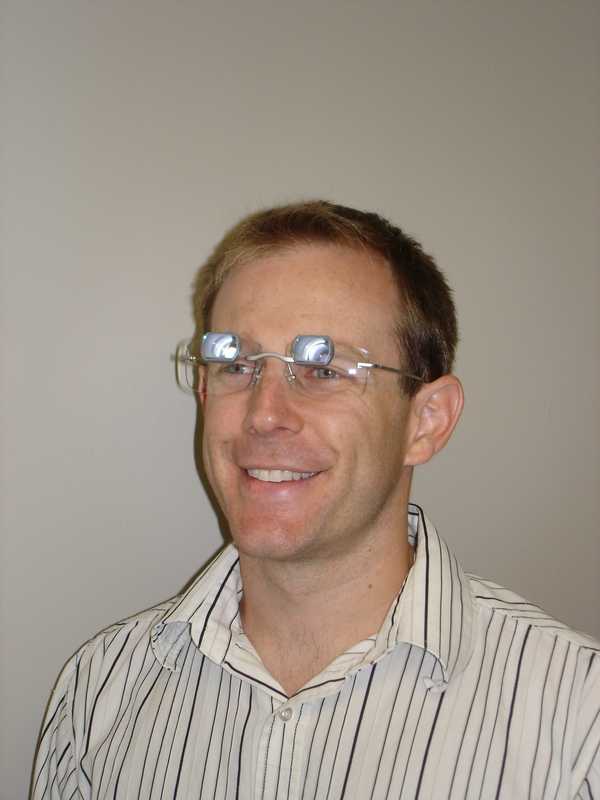 When Dr. Armstrong has completed the low vision evaluation he will recommend specific low vision devices to help accomplish the person’s goals. He will give the person the opportunity to see exactly how they will see with the various devices. They will be able to experience their vision with the recommended glasses and compare with their old glasses. Telescopic Glasses: Miniature telescopes mounted in the lenses of eyeglasses magnify distant objects resulting in improved distance vision. These are helpful for watching TV, recognizing people, sports events and other distance tasks. Virginia, West Virginia and many other states issue special driver’s permits which allow driving while wearing bioptic telescopic glasses. Microscopic Glasses: These glasses are prescribed mostly for reading. They magnify close vision and allow the use of both hands for such tasks as writing checks and sewing, in addition to reading. Telemicroscopic Glasses: A combination of telescopic and microscopic glasses, they focus farther from the face than microscopic glasses and are useful for computer use, card playing, reading and other activities requiring vision within arm’s length. Telemicroscopic glasses can be prescribed to help people who sing or play an instrument to read music. 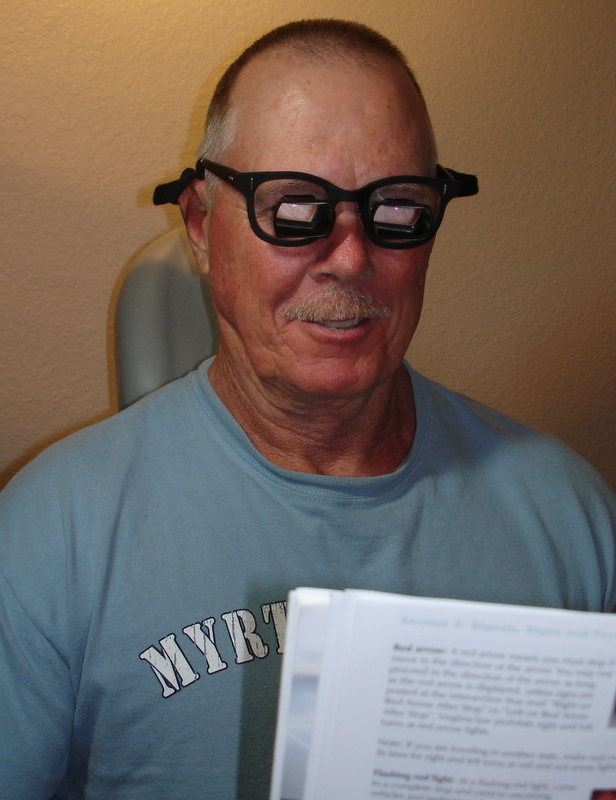 E-Scoop Glasses: Allow persons with macular degeneration to see clearer. The E-Scoop lens is clipped in front of your regular eyeglass prescription. E-Scoop magnifies slightly, improves contrast and reduces glare. They are designed to enhance vision and allow you to see clearer by moving the image viewed away from the damaged macular area. 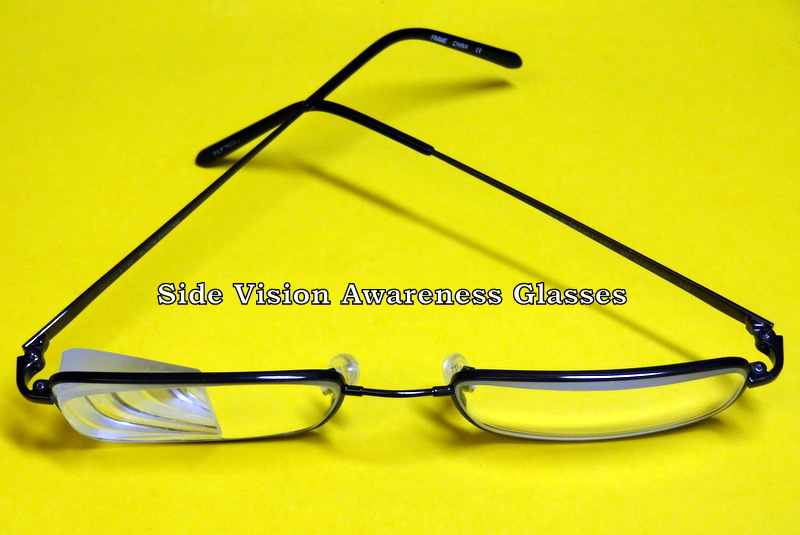 Side Vision Awareness Glasses: Invented by a neuro-optometrist, Side Vision Awareness Glasses make it safer for people who have suffered traumatic brain injury or stroke to move about without bumping into unseen objects. TBI and stroke often result in a total loss of vision to one side known as a hemianopsia. The glasses include a prism in one lens which widens the visual field on the blind side making the person safer for walking. They are not used for driving.